There was a previous post on this topic back in 2010, but that's a long time ago. To find it, enter native lexicographers in the Search box on the right. Dictionaries are the translators' prime tools. Therefore, how to find and use dictionaries effectively should form part of an Expert Translator's training, and it requires some understanding of what dictionaries contain and how they are structured. So lexicographers, the people who compile and write dictionaries, are the translators' boon companions. Indeed, writing a bilingual dictionary is itself a special kind of translating. Just as there are Native and Expert Translators, so too there are Native and Expert Lexicographers. In the beginning there are the 'dictionaries' we all – including Natural Translators and Language Brokers – carry round in our heads. Without them, translating would be intolerably onerous and slow. Imagine having to look up every word! Linguists prefer to call that kind a lexicon, whereas the -graphy in lexicography implies a written form. Written dictionaries too have been around since ancient times: for more, enter ebla in the Search box. But they have come a long way since the simple lists of paired words found on the clay tablets. The development of modern dictionaries began in the Renaissance and then received a great boost in the 19th century. At the same time, thanks to printing and education, their popularity increased, and to the point that they have become mainstays of major publishers like Larousse and the Oxford University Press (OUP). However, very few of the millions of dictionary users pause to give a thought to their lexicographer authors. Hence this post. It was in the 19th century that the figure of the Professional Expert Lexicographer (PEL) emerged. Noah Webster (1758- 1843) in the United States and Émile Littré (1801-1881) in France were early examples. Note that though their dictionaries were monolingual, both Webster and Littré were also translators. Expert Translators use both bilingual and monolingual dictionaries. Today the major dictionary publishers (Larousse, Langenscheidt, etc.) employ whole staffs of PELs. 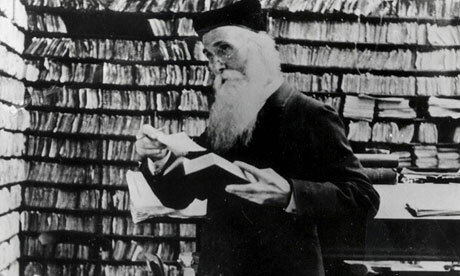 One archetype of the PEL was James Murray, the founding editor of the great Oxford English Dictionary (OED). He was employed on it full time by the OUP from 1878 until he died in 1915. He had a good preparation for it as an expert in philology ("the study of the structure, historical development and relationships of a language or languages"). He introduced innovations in lexicographic method that were way ahead of their time. For example, he used crowdsourcing to gather good material. Yes, there was crowdsourcing before there were computers, but it was painstakingly slow. With no email, Murray's crowd had to send him their contributions by ordinary snail mail on slips of paper. "Anything addressed to ‘Mr Murray, Oxford’ would always find its way to him, and such was the volume of post sent by Murray and his team that the Post Office erected a special post box outside Murray’s house." The red post box is still there. And he pioneered corpus-based lexicography, again without computers. Yet his crowd mined manually a corpus that was enormous even by today's standards, nothing less than a thousand years of English literature. Noah Webster. greatsite.com, 1997-2013. Click here. "Noah Webster published his first dictionary of the English language in 1806, and in 1828 published the first edition of his An American Dictionary of the English Language. The work came out in 1828 in two volumes. It contained 12,000 words and from 30,000 to 40,000 definitions that had not appeared in any earlier dictionary. Webster changed the spelling of many words in his dictionaries in an attempt to make them more phonetic. Many of the differences between American English and other English variants evident today originated this way. Webster's dictionary was so popular that 'Webster's' became synonymous with dictionary to many Americans. As a result, the Webster's name lost trademark protection and is now used by numerous publishers in the titles of their dictionaries." Émile Littré. Dictionnaire de la langue française (Dictionary of the French Language), popularly known as Le Littré. Paris: Hachette, 1863-73, after nearly 30 years of work. 4 volumes. A digitised copy is available here. James Murray (lexicographer). Wikipedia, 2012. The article is here. James A. H. Murray et al. (eds.). A New English Dictionary on Historical Principles, later renamed The Oxford English Dictionary. Oxford: Clarendon Press, 1884-1928. 10 vols. There's an up-to-date revision online here. Translators beware! The overwhelming mass of historical data in this dictionary makes it unsuitable for translators of modern texts. It should not be confused with the many other English dictionaries published by the OUP. Karl Breul. A New German and English Dictionary / Compiled from the best authorities in both languages. Revised and considerably enlarged. London: Cassell and New York: Funk and Wagnalls, 1906. J. E. Mansion. Harrap’s Standard French and English Dictionary. London: Harrap, 1933-1939. The introduction describes the corpus that was used. Later revised editions are still available. Hans Wehr (University of Münster). A Dictionary of Modern Written Arabic. Translated and edited by J. Milton Cowan (Cornell University) from Arabisches Wörterbuch für die Schriftsprache der Gegenwart, Wiesbaden, Harrasowitz, 1961. Online here. 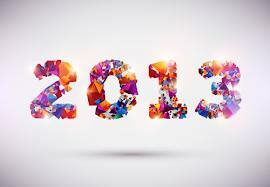 A Very Happy, Healthy and Prosperous New Year to Everyone, and especially to my 146 supportive Followers. TRANSLATING IS A UNIVERSAL HUMAN CAPABILITY.